Our Public Information Center offers more than 500 films, providing a complete introduction to every aspect of Dianetics and Scientology—including the beliefs and practices of the religion as well as a biographical presentation on the life and legacy of Founder L. Ron Hubbard. Our Information Center further presents exhibits on the many humanitarian initiatives and social betterment programs our Church sponsors. Our Chapel, lined with the Codes and Creed of the Church of Scientology, provides for all congregational ceremonies and services—including Sunday Services, Weddings and Naming Ceremonies. 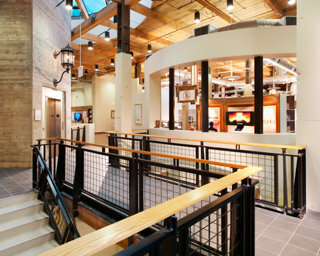 The Chapel further serves as a venue for workshops, banquets and events, in the name of community collaboration for the betterment of Denver. The bookstore makes available Founder L. Ron Hubbard’s works on Dianetics and Scientology. In all, Mr. Hubbard’s legacy comprises tens of millions of published words in dozens of books and thousands of recorded lectures. These materials are available in 17 languages. 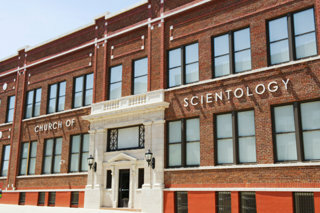 Our Church provides for the delivery of all Dianetics and Scientology Introductory Services, including an array of courses for the study of L. Ron Hubbard’s Dianetics and Scientology books and lectures. Among the many further services offered are evening and weekend Dianetics and Scientology seminars, imparting an overview of fundamental principles and their application in life. The mural pays homage to our Mile High City at the foothills of the Rockies. The Church preserved the historic façade of the landmark American Radiator Company Building, most notably its stately 24th Street entrance of pure-white Colorado Yule marble. 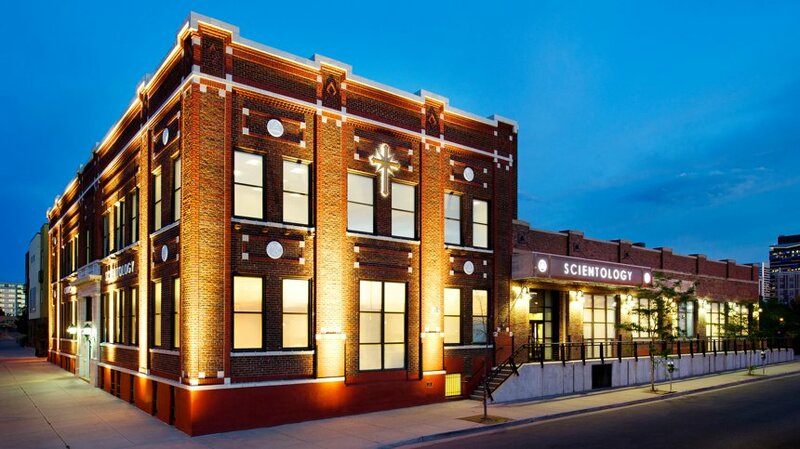 This Church realizes Scientology Founder L. Ron Hubbard’s vision that all Churches of Scientology become what he termed Ideal Organizations (Orgs). Ideal Orgs not only provide the ideal facilities for Scientologists on their ascent to higher states of spiritual freedom, but they also serve as a home for the entire community and a meeting ground of cooperative effort to uplift people of all denominations. To that end, we are committed to upholding Denver’s heritage as a city imbued with the frontier spirit of enterprise and collaboration. We look forward to working together with every individual and group dedicated to achieving the shared dream of a drug-free, crime-free and flourishing future for all. 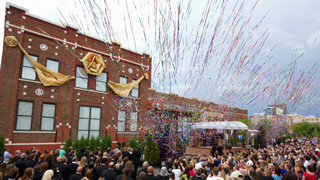 The American Radiator Company Building, now home of the Church of Scientology of Denver, was originally constructed in 1916. It stands in the heart of the Ballpark Neighborhood Historic District in Lower Downtown, one block from Coors Field.